ecoLincNZ: What did you do in your summer holidays? What did you do in your summer holidays? This summer we had 15 students take advantage of our summer scholarships. These scholarships give students the opportunity to be paid to do research for 10 weeks. This is a great chance for them to look at whether this is something that gets them excited and maybe think about postgraduate research and a career. Various ecology staff at Lincoln mentored these students in a wide range of projects. The projects are drawing to a close now and we have been hearing what the students have been up to in a series of short talks. 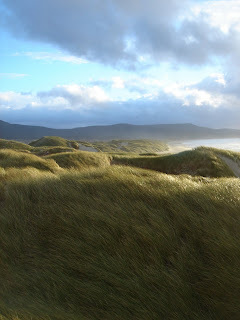 For example, Warwick Allen and Natasha Wilson both worked on “The ecology of New Zealand sand dunes project” with Hannah Buckley. In collaboration with researchers at Victoria University they sampled plant and invertebrate communities all around NZ, including Stewart Island. 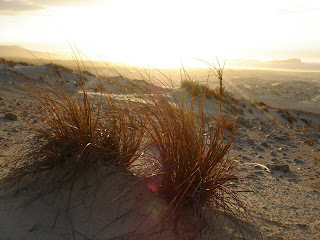 At each location they sampled a site where sand dune restoration plantings have taken place and an adjacent site dominated by exotic plants. Their preliminary findings show that exotic-dominated sites host greater plant and invertebrate diversity than the native-dominated restoration sites. Andrew Goodger has been working with Charlie Eason and Connovation Ltd. Because of the huge problems with many introduced mammalian pests in New Zealand, there is a major effort in looking at better and more effective methods for limiting their numbers. One way forward is to find more efficient poisons that target the pests and have few problems for the rest of teh ecosystem. Andrew helped to assess the potential of sodium nitrate as a fast-acting, humane and low-residue toxin for pig, possum & rat control. This has involved field and lab experiments and looks to be a very promising compound. Ian Phillipps has spent most of his time looking for mite-infested beetles in the few remaining lowland native forest fragments on the Canterbury Plains in order to get a better idea of the factors that effect their distribution. Although Ian is still collecting data, it's starting to look like these beetles and their mites may be useful indicators of habitat quality. The beetles only seem to be found where there are reasonably large patches of remnant bush, or at well established regenerating sites with mature trees and good canopy cover. Where beetles are present, mites tend to be found only in the larger, less disturbed patches. If this pattern holds up then this will be of interest to conservation managers as it may help them to prioritise sites for protection or evaluate the success of ecological restoration projects. Overall, the students had a lot of fun, the researchers got some good field work done and everyone was happy! We look forward to what next summer will bring.